History is being written in the Oklahoma State House! In the support and declaration of the 60th anniversary of our nation’s motto, an “In God We Trust” resolution passed through the Oklahoma House and unanimously through the Senate. House Resolution 1063 reflects that religious freedom is the cornerstone of a free society and reinforces that America’s identity was birthed from these powerful words, “In God We Trust”. Oklahoma state house proudly proclaims their trust in God as their newly passed resolution supports and encourages the public display of our national motto. 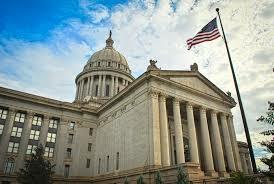 Together we stand with Oklahoma in a rallying cry…a lasting heritage – a firm foundation –“In God We Trust”!